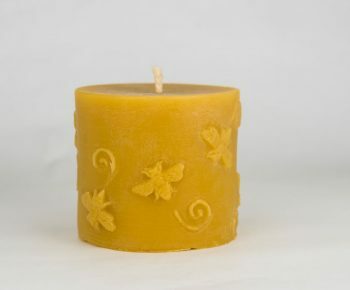 What do you see in our NJ Beeswax Crystal Cylinder Candle? Some people see a Waterford crystal glass, and others see an exotic drum. 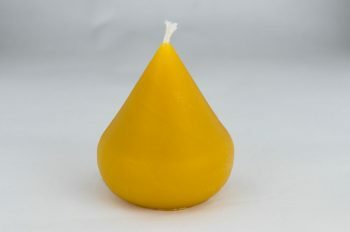 Whatever you see in this candle design, choose it to add some design interest to your larger candle display, or select it as the perfect gift for anyone on your gift list. 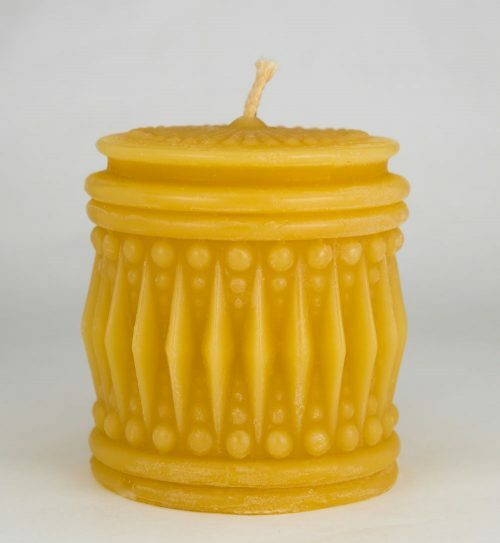 Our NJ Beeswax Crystal Cylinder Candle will burn for over 45 hours, making it one of the longest-burning candles available, and our NJ Beeswax candles are 100% natural, with no added scent or color, burning smokeless and dripless, even cleaning the air in your home. 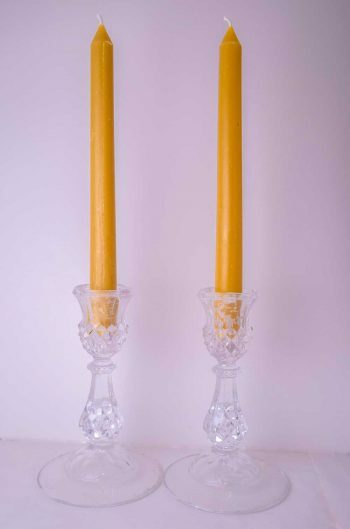 As always, we remind you to burn your candles safely, never leaving them unattended.